Standard's "Healthcheck" is a service we offer whereby for about 2/3 the cost of an actual call-out we supply one of our engineers to come to your shop at a mutually convenient time and give your repair machinery the "once over". What does a Standard Health Check include? The engineer will check the motors, extraction, filter bags, trimmers, brushes to ensure safe and efficient operation. He will advise on good practice and make any small adjustments he can. A completed ticksheet report will be available, which can be useful when dealing with insurers. We plan and anticipate for the "Healthcheck"
to take about an hour, depending on the equipment you have. What if my machine needs more maintenance ? The engineer may recommend any additional work or parts your machine may need. These, if acted upon, would be chargeable, BUT it is left entirely in your hands to make this decision. The engineer is in touch with the office, and between us we can give you an idea of any addiitonal costs should you wish to enact any of our recommendations. The most commonly replaced items are filter bags (which we usually suggest are replaced every couple of years to give effective extraction), brushes and pads. It's important to note, the "Healthcheck" isn't intended for a machinery breakdown. 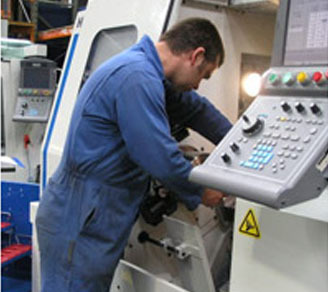 If your machine has ceased working we would rush around an engineer and parts as soon as we are able. No, the "Healthcheck" is intended to give you peace of mind as to the continued good performance of your machinery.